For distilleries, higher yields mean higher profits. But do lower-yielding grain varieties offer more taste and flavour? And, if so, isn’t it time the industry started demanding more varieties, rather than settling for the most profitable option? Tom Bruce-Gardyne hears both sides of the argument. 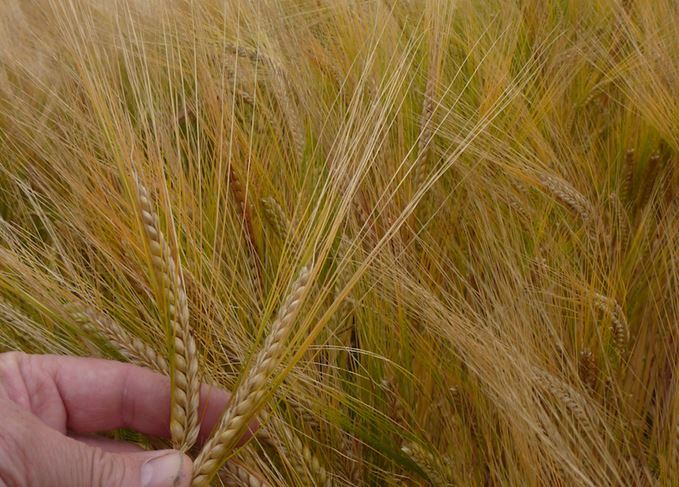 Raw ingredient: Can barley variety really alter the flavour of whisky? You don’t have to be a wine buff to appreciate the link between yield and quality. Try a fine white Burgundy, picked at 40 hectolitres (hl) per hectare, next to a cheap Aussie Chardonnay, cropped at six times more, and you will notice the difference. At least hopefully you will… given the difference in price. But whisky’s relationship to its key raw ingredient is rather different. Beyond the occasional plug for Golden Promise and a few others, varieties of barley are never mentioned. Meanwhile, at the growing end of the spectrum, it seems all that matters is the size of the yield. If this were wine, vineyards would be planted with nothing but Thomson Seedless – the irredeemably bland, high-cropped table grape flogged by supermarkets. But maybe such analogies are absurd, and there is simply no correlation between fermented grape juice and a distilled spirit such as whisky. Once you have factored in the malting process, the presence of any peat, the shock of distillation and the long years of maturation, the variety and yield of the grain may well be lost. So is the variety of barley that a distillery uses really crucial to flavour and character of its whisky? ‘It is actually all about wine. When Bruichladdich was resurrected in 2001, the old distillery was philosophically transformed by its principals, who were wine merchants. Simon Coughlin and Mark Reynier [who bought the distillery] grew up with the grape and all its myriad varietals, flavours, vintages and management systems. They had spent their lives immersed in an industry that expends massive amounts of time and treasure restricting the yields from the vines, intensifying flavour, imparting character and creating style. ‘You could have cut these men in half and found the word “terroir” running through them like a stick of rock. So you can imagine that they would have found it impossible to accept the idea that everything they had learned about making great wines is irrelevant when it comes to making whisky. ‘What they found, back in 2001, was that, for the whisky industry, barley only has one interesting variable: yield. The amount of spirit derived per tonne. That's it. All the research, all the analysis of varietals, soils, nitrate levels and germination rates are all focused on that one thing. High yields (high profits) are good. Low yields (low profits) are bad. It was simple: flavour was irrelevant. ‘Coughlin and Reynier refused to accept that then, and they still do now. Everything at Bruichladdich, and also at Reynier's new distillery at Waterford in Ireland, is geared to exploring the flavour potential of what we consider to be the world’s most flavour-complex grain. ‘This dichotomy is at the heart of the schism that is gradually opening up in Scotch whisky. At one time, Bruichladdich simply led a noisy splinter group of irritating midges annoying the industry elephant. But that is no longer the case. Take a look around – suddenly there are clouds of us and our interest in yield is vague at best. ‘You do have to be careful comparing something that’s fermented with something that’s distilled, though I have to say I’m not an expert in wine. In the fermentation process, raw materials will have an effect on the final character and flavour, but the distillation has a much bigger impact, and when you put the new make spirit into oak, that has a huge impact. I still think over 70% of the flavour in the final whisky comes from the wood. ‘In my experience of over 25 years, I only ever saw one instance where changing the barley variety potentially changed the character of the new make spirit, whereas the quality of the malt has a big impact on the whole production process. I read in a recent article that when Bruichladdich used Bere barley they had difficulties with the milling and mashing, and I think that may have affected the character of the spirit, rather than the variety itself. In my experience, what matters is the quality of the malt and the way you process it, rather than the variety of barley. ‘With whisky, the effect of wood is so big that, by comparison, the impact of the raw materials is almost minimal. It may be having an impact on the spirit, but once you’ve matured it for seven, 10 or 12 years, how can you say that a different strain of barley has an effect? ‘When I worked with Diageo, I worked in malting and distilling, and I also managed the laboratory, so I was responsible for the team assessing the quality of the new make spirit. Each of our 28 malt distilleries had a distinct character, and in some cases we actually sacrificed spirit yields to hit that character. I was part of the industry trials of new varieties, and it was very much yield-driven, but in terms of malting the barley and at the distillery – quality (in terms of desired new make spirit character) was always king. From my experience and what I know across the whisky industry, it’s driven first by the desire for quality and then by yield. Vic Cameron builds a convincing case that yield and variety are really not that important compared to all the other factors, such as maturation. With years on the front line he never experienced anything to change that view. And yet one could ask if those different varieties of barley he came across were all bred with the same intent – to maximise yields for the farmer. In which case, it is not surprising the spirit character was remarkably similar. In his 2003 book Raw Spirit, Iain Banks wrote that Macallan had reduced its grain bill to ‘about 30% Golden Promise since 1994’, as it had ‘fallen out of favour with farmers these days because it produces much less yield than more recent, more productive but less tasty forms’. Nowadays, like everyone, Macallan is reliant on modern, high-yielding varieties, but is it less tasty as a result? Cameron is correct that the Scotch whisky industry has a big say in what’s grown. If distillers demanded lower-yielding varieties because they added character to their spirit, farmers would comply, so long as they were paid a premium per tonne. This is common practice in the wine trade, but not yet in whisky. Visiting Seattle, Dave Broom has his mind blown by the innovative use of barley varieties.